(ALEXANDRIA,ON) On March 2, 2018, An investigation led by the Community Street Crime Unit – Project REDSTART was executed with the assistance of OPP Tactical Rescue Unit, Emergency Response Team, Canine Unit, Organized Crime Enforcement Bureau, Cornwall Community Police Service and SD&G OPP. 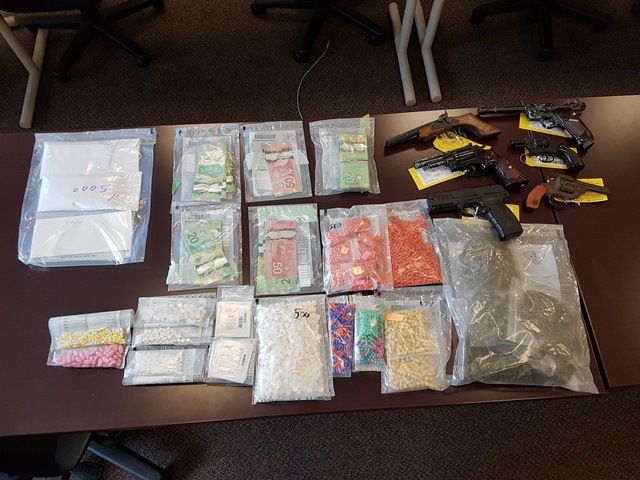 The officers executed a Controlled Drugs and Substances Search Warrant on several residences and one business in the Village of Alexandria, North Glengarry Township. He was released and scheduled to appear in Alexandria court on April 4, 2018. “These arrests will have a significant impact in the small community of Alexandria”. States Dean Canham Detective Sergeant of the Community Street Crime Unit.